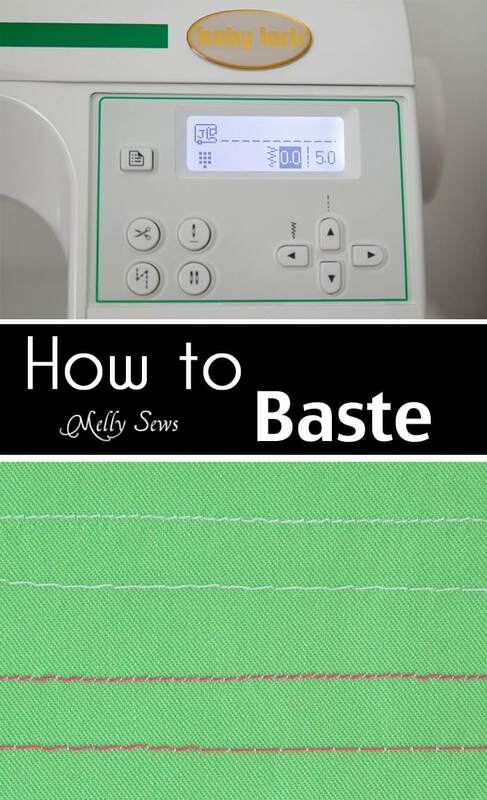 Hey y’all – it’s time for this month’s addition to the sewing glossary – how to baste. 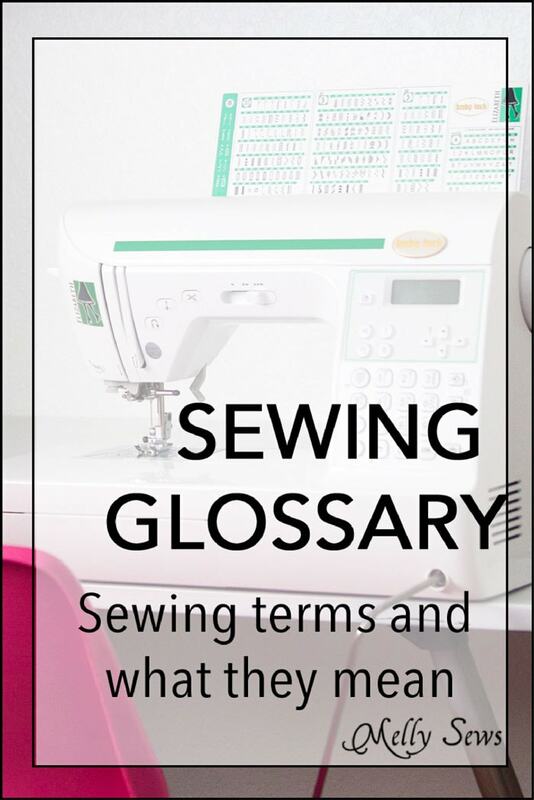 Month by month I’m building a sewing terms glossary on the site; for previous entries click here. Basting can be done by hand or by machine. If you chose to do it by hand, a running stitch is commonly used. When you machine baste, set your machine to the longest stitch length it will do. 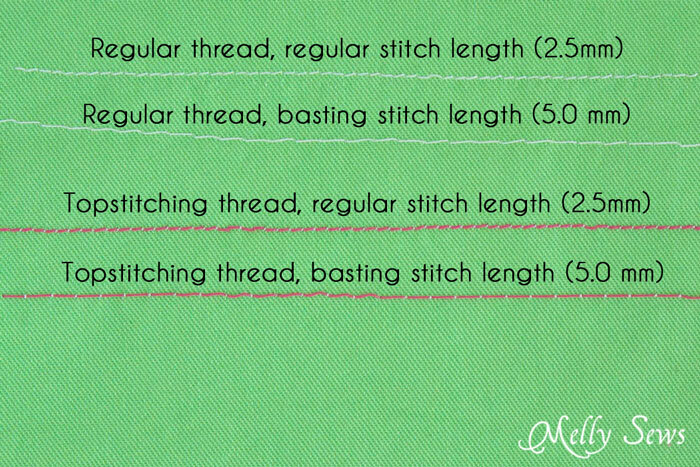 For comparison, below is what a basting stitch looks like. I sewed both regular stitch length lines and basting stitch lines with both regular and topstitching thread so you can see the difference. 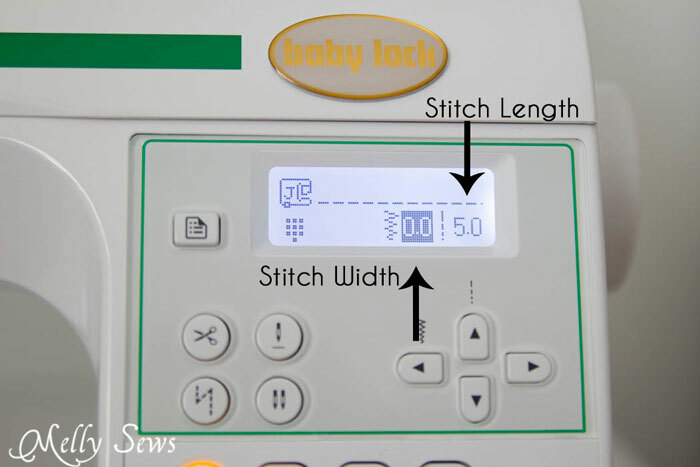 Depending on your machine and how many programmable stitches it has, you might have a special basting stitch on your machine that is even longer than the longest stitch length you can set manually. On my machine (a Baby Lock Elizabeth) it looks like number 06 below. 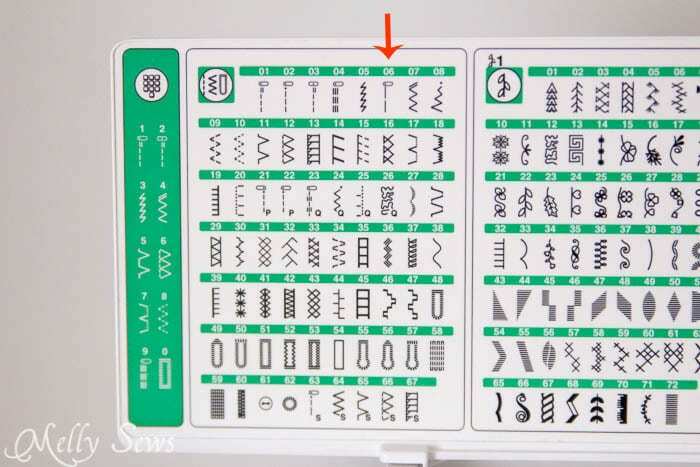 Since basting stitches are meant to be removed, you generally don’t want to use thick thread like I did on the sample; the larger needles needed to sew thicker thread will also leave larger needle holes in the fabric. If you are working with delicate fabric like silk that will retain the needle marks, make sure to baste in the seam allowance, so the needle marks won’t appear on the outside of the finished piece. Finally, if you really hate unpicking basting stitches, you can stitch them with dissolvable thread (affiliate link). This only works on fabric that won’t be harmed by water, but it does save some time with the seam ripper.